The third eye is a spiritual concept that refers to a person being able to achieve perception beyond ordinary sight. Also known as the ‘inner eye', it is the gateway to inner realms and states of higher consciousness, beyond the physical world. The third eye is commonly associated with visions, clairvoyance, out-of-body-experiences (OBE), astral projection and the ability to observe chakras and auras. In Theosophy the third eye is said to be connected to the pineal gland, which maintains light sensitivity and is responsible for the production of DMT (dimethyltryptamine), a psychedelic drug which many spiritualists believe to be excreted in large quantities at the moments of birth and death. It is said that through third eye meditation, the third eye is activated, DMT released and access to higher realms gained. What Happens During Third Eye Meditation? Third eye meditation opens up your clairvoyant sight. Don't worry if you've never done this before, because like eyes, everyone has a third eye; it just needs activating and training. Opening the third eye allows a meditator to clear energy blocks and self-limitations and releases negative karma. People often discover/access new information and explore higher levels of consciousness during this form of meditation, and as mentioned previously, this is also used as a pathway to astral projection and lucid dreaming. Once you successfully activate the third eye, rays of light will stream in and you will begin to see vivid colors, pictures, auras and visions. With practice you will begin to see more clearly, opening up pathways to higher levels of consciousness and spirituality. If you have clairvoyant tendencies they will begin to flourish outside of your your meditation. You may begin to perceive the chakras and aura energies of people, plants and animals, and going forward you may see other dimensional beings and objects. It is best to practice your third eye meditation after having recently woken up from a state of sleep; so best in the morning or after an afternoon nap. The reason for this is that the brain is already in a state conducive to meditation, i.e. very relaxed in the theta state, with heightened inner-awareness and intuition and low stress/anxiety levels. It is also possible to enter third eye meditation as you are falling asleep, however, this takes some practice and it is best to start the other way around first. The majority of astral travellers report vivid, long episodes within an hour of waking from sleep, and in the early morning in general. Allocate at least 30-minutes for your meditation. Turn off your phone and do your best to eliminate all other distractions. Make sure you're wearing comfortable clothing. Sit in the lotus position to ensure your chakras are aligned. If you don't find sitting cross-legged comfortable then simply lie down. Begin by relaxing each muscle in your body, starting with your toes and working all the way up to your head. Visualise each muscle, bone and ligament relaxing. Now move to a breathing meditation, as described here. See the wave of calm energy come over your body. Feel its warmth as it rises up through your body. Slowing draw the energy to the centre of your head, in between your eyebrows. Don't hold onto any one though process or image. Don't try not to think, just let go of attachments and aversions as if nothing mattered. Feel yourself becoming lighter and lighter, as gravity falls away. Stay with your breath and visualise a white ball of light rotating 360 degrees at the centre of your mind. See this ball expanding and fully accept its presence. Invite to come into your ownership. As it expands let the light stream out through the centre of your forehead. Again, let go of thoughts; just let them rise and fall as they occur. Let the light in and remain open to seeing whatever is put before you be it pictures, colors or information. If you're seeking to connect with God (Mother Nature), or a spirit guide, this is the time to call out and connect. This can be done vocally (calmly and peacefully) or internally. Recite your calling like a mantra until you receive a sign of response. You'll know when it comes. Try not to be alarmed when it does; any shock or sudden movement may break the meditation. You may choose to ask your third eye for a message; for information or insight, or you may simply choose to just be and take what comes from this enlightening experience. The experience may appear as dream-like, but in time you will familairize yourself with the experiences and learn to cultivate and manifest higher knowledge into your physical existence. I Can't See Anything – Why? The level of clairvoyance a person has is dependent on the openness of their third eye, which is directly affected by energy blockages. A fully open third eye will allow multiple light rays to stream in, often in strong golden and silver colors. Streams of white light enter the space as information is received and then interpreted in pictures, messages and higher consciousness in the crown chakra. The more advanced the practitioner the more expansive the light rays become. However, because the third eye is connected to the first, second and third chakras, if there are channel blockages the functionality of the third eye is greatly restricted. Blockages can be due to physical injury; muscular, bone and inflammation, and also due to mental energy blocks caused by fear, stress and anxiety. The location of the blockage determines the difficulty of understanding what is seen during your meditation. 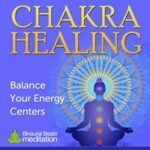 It is therefore a good idea to use a chakra meditation to unblock energy channels before attempting to open the third eye through meditation. My Third Eye Meditation Still isn't Working! Third Eye Meditation is a skill that can take many years of practice to master, and most people rarely get past the stage of sitting down to meditate, let alone accessing their third eye; so if you've got that far you're more than a third of the way. What most information regarding third eye meditation neglects to mention is that one should start off with basic meditation first. Cultivating a non-attached, present, centered, balanced state is essential to opening the third eye, and therefore it is best to start meditation using guided meditation or binaural beats. Binaural beats recordings provide the easiest pathway to states of meditation and to the activation of the third eye. 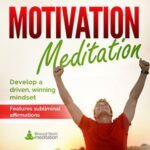 By using this proven natural science you can effortlessly achieve deep states of meditation, which will ultimately help you access your clairvoyance faster. 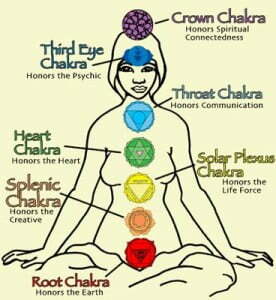 Try using either our Chakra Healing or Spiritual Awakening tracks. 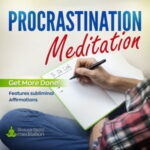 These meditations are designed to take you into deep meditative states where you'll experience higher states of spiritual awareness. You might also like to try Astral Projection, which is specifically for astral travel, but part of that process is the opening of the third eye. It comes with a comprehensive guide on how to open the third eye and achieve astral travel to alternative dimensions.